The Sacred Page: Australian News Defends Pope: "You've Got the Wrong Man!" Australian News Defends Pope: "You've Got the Wrong Man!" Following up on my earlier post, "Did the Pope Cover Up Abuse? No!" . . . 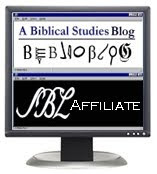 Noted New Testament Scholar, Michael Bird, my Australian friend over at Euangelion, kindly sent an article my way that I have to share here. This is a piece that deserves wide circulation. Scott Stephens, a writer with the Australian Broadcasting Corporation, has written a piece defending the pope against the scurrilous charges that have been made against him and has essentially lowered the boom on those who have recklessly propagated them: his message, "You've Got the Wrong Man!". Check this out . . . I've put certain parts of the story in bold for emphasis. Last night, Pope Benedict XVI flew into the maelstrom. He began his much anticipated - and pre-emptively maligned - apostolic journey to the United Kingdom amid a furore, a media-fuelled form of mass-hysteria over everything from revelations of clerical sexual abuse and concealment to the dubious rank of 'state visit' conferred by the Queen on the pontiff's sojourn. Surrounded by ill-wishers within and without, Benedict has nonetheless remained unflappable, even resolute. When asked by journalists aboard the papal plane how the Church could become more attractive to Britons in the face of an especially virulent strain of chic British atheism, the pope said "a Church that seeks to be particularly attractive is already on the wrong path, because the Church does not work for her own ends, she does not work to increase numbers and thus power. The Church is at the service of another ... she serves to make the proclamation of Jesus Christ accessible." He was also at great pains to point out that, regardless of the Queen's decision to grant his arrival the rank of state visit, this "is substantially and essentially a pastoral visit, a visit in the responsibility of the faith for which the Supreme Pontiff, the Pope, exists." Benedict's pastoral resolve could not provide a more striking contrast to the hysterical posturing and outright mercenary opportunism displayed by his high-profile detractors - of whom Geoffrey Robertson QC is but the latest example. Recall that in March this year, Richard Dawkins launched a scurrilous broadside against the pope in the Washington Post, describing him as a "leering old villain ... whose first instinct when his priests are caught with their pants down is to cover up the scandal and damn the young victims to silence." This was quickly followed by Dawkins's announcement - accompanied by the full-throated support of Christopher Hitchens and Robertson - of a plan to initiate criminal proceedings against the pope once he set foot on British soil. Hitchens, for his part, followed up God is not Great and Hitch-22 - both literary triumphs, and marked by a kind of blistering elegance - with a series of grubby, ham-fisted and increasingly bizarre articles attacking the pope on Slate. Then, two weeks ago, in a shameless attempt to ride the wave of anti-Catholic sentiment, Stephen Hawking provided the Times with an exclusive extract of his new book - only "new" by virtue of its publication date, not because it heralds any new discovery, or makes any advance whatsoever on his 2001 book, The Universe in a Nutshell - in which he claims that the infinite arc of gravity obviates the need for any deity to have triggered the Big Bang. According to Dawkins, this announcement signalled the coup de grace, the final demise of that cosmological Hoax, who had been banished from our terrestrial orb by Darwin's theory of natural selection, but had sought asylum in the unsounded depths of quantum physics . . . until Hawking pronounced such a deity redundant, that is. Finally, late last week, ahead of the publication of his The Case of the Pope: Vatican Accountability for Human Rights Abuse, Geoffrey Robertson QC supplied The New Statesman with a titillating precis, urging Britons to look at the pope "through the eyes of the thousands of small boys who have been bewitched, buggered and bewildered by priests protected under canon law." Robertson's Case is certainly more nuanced than the salacious rants of some of his confreres, but it nonetheless remains a misleading and needlessly sensationalist diatribe. Far more perplexing is Robertson's callow charge that Cardinal Joseph Ratzinger himself, as Prefect of the Congregation for the Doctrine of the Faith, presided over a period of endemic sexual molestation and concealment between 1981 and 2005. And, moreover, that it was the mysterious directives of Canon Law that enabled this to occur by protecting perpetrators. This accusation is both uninformed and suggests something of the ignorant hypocrisy at the centre of what Hilaire Belloc gorgeously described as "the Modern Mind." For a start, it was not the Catholic Church's discrete use of Canon Law that provided a safe haven for paedophiles, pederasts and other deviants. It was rather the failure of the Church - and, in particular, the failure of bishops - to enforce Canon Law after the Second Vatican Council that allowed this rot to fester. Canon Law has always deemed the sexual abuse of minors as loathsome crimes and grievous sins, the commission of which would necessitate a priest being permanently removed from the clerical state (in other words, be "defrocked") - this much is clear from Canon 2359 of the 1917 Codex Iuris Canonici, which was reiterated in Canon 1395 of the 1983 Codex Iuris Canonici. The severest penalties also applied to those bishops who failed to deal with priests according to Canon Law. But it should be remembered that the zeitgeist of the early-1960s condemned the Church's so-called "punitive approach" to cases of clerical sexual deviance as being both mediaeval and altogether ignorant of the restorative possibilities of psychotherapy. Consequently, although the proscription of the 1917 Codex for dealing with clerical sexual abuse had remained unchanged since 1917, in the supposedly open, inclusive climate after Vatican II (1965) - which, in fact, became outright lawlessness in many quarters - far too many bishops resolved to take the supposedly pastoral, therapeutic approach of restoring abusive priests through counselling and relocation. But if Robertson misunderstands the actual functions of Canon Law (about which, admittedly, far more could be said than I can here), he equally misrepresents the role that Cardinal Ratzinger played at the Prefect of the Congregation for the Doctrine of the Faith, a position he held from 1981 to 2005. It is simply false that Ratzinger himself presided over all cases of clerical abuse. Prior to 2001, when John Paul II issued the papal directive Sacramentorum sanctitatis tutela (at Ratzinger's urging) requiring all incidents of molestation to be reported to the Congregation for the Doctrine of the Faith and to the civil authorities, all such cases had been handled by the bishops. 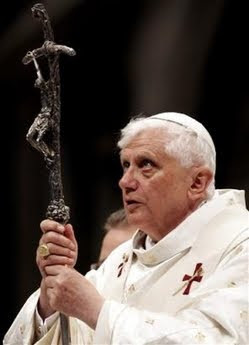 Once confronted by the extent of what he came to describe as the "filth" that had infiltrated the Church in 2001, Ratzinger was swift and unrelenting in his prosecution and punishment of offenders. In over eighty percent of the cases he dealt with, Ratzinger forwent the lengthy canonical trials and simply removed deviants from the priesthood and were referred to the civil authorities. Ratzinger's determination to deal with the epidemic of sexual abuse that had arisen brought him into direct conflict with the powerful Cardinal Angelo Sodano (Dean of the College of Cardinals) and John Paul II in the final years of his pontificate. For many years, Marcial Maciel Degollado - the notorious founder of the Legionaries of Christ and a monstrous sexual predator - had enjoyed the patronage and protection of both Cardinal Sodano and John Paul II. As described by an official Vatican report released earlier this year, Maciel was a man "without scruples or authentic religious sentiment," but who proved himself diabolically adept "at creating alibis for himself and winning the trust, confidence and silence of those around him" - including Sodano and the former pontiff - who in turn "created a mechanism of defense around [Maciel] that made him immune to attack for a long time." But upon becoming pope, Benedict XVI moved swiftly against Maciel, removing him immediately from all priestly duties and banishing him to "a life of prayer and penance." At bottom, I share Geoffrey Robertson's utter revulsion for the atrocities and brutality that have taken place within the Catholic Church - but so does Pope Benedict. As he stated to the journalists aboard the papal plane yesterday, "these revelations have been a shock for me, not only a great sadness. It is difficult to understand how this perversion of the priestly ministry was possible. The priest at the time of ordination, after having prepared for this moment for years, says yes to Christ ... How a man who has done this and said this may also fall into this perversion is difficult to understand. It is a great sadness, a sadness that even the authority of the Church has not been sufficiently vigilant and not fast or decided enough in taking the necessary measures. Because of all of this, we are in a time of repentance, humility, and renewed sincerity." I also share Robertson's disdain for the culture of secrecy, patronage, and an almost incestuous self-regard over which the bishops have presided within the Catholic Church - but, again, so does the pope. Benedict has rejected every attempt on the part of Cardinals and bishops to somehow close ranks, and portray the crisis surrounding the Church as the work of an aggressively anti-Catholic media. As the pope told journalists earlier this year, "attacks against the Pope or the Church do not only come from outside; rather the sufferings of the Church come from within, from the sins that exist in the Church. This too has always been known, but today we see it in a really terrifying way ... the Church therefore has a deep need to re-learn penance, to accept purification, to learn on one hand forgiveness but also the need for justice." My complaint against Geoffrey Robertson is that he has indicted the wrong man. He seems to have allowed himself to be swept along by the fashionable tide of anti-Catholic jingoism. Had he not, perhaps he would have recognised that, for all of his failings and inadequacies, no one in the Catholic Church has done so much to secure justice and healing for victims of sexual abuse, to punish the guilty and the bishops who were complicit in their crimes, and to lead the Church into sincere penitence and renewal, than has Pope Benedict XVI. Thank you Scott Stephens and the Australian Broadcasting Corporation! Now, ABC? NBC? CBS? BBC? New York Times? Would you guys also like to go on record correcting the record or do you want to wait until your reputation has been thoroughly discredited?